After searching online to compile a little Autumn edit/lust-list, I found so much stuff that I liked that I decided to separate it into a few key areas for the Autumn wardrobe, so here we have coats/jackets, boots, hats & scarves and jumpers! 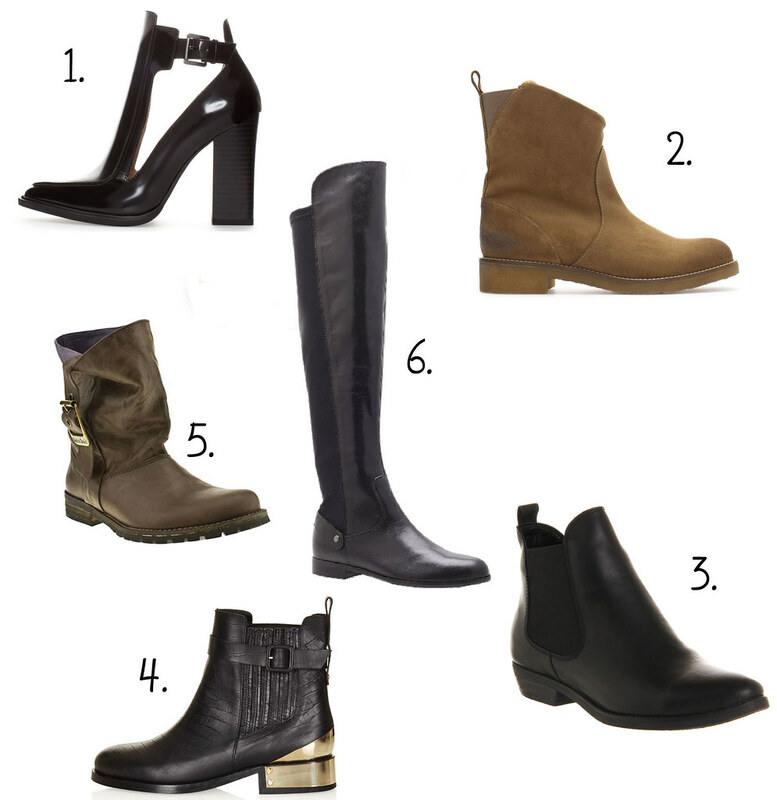 A long wish list, obviously one that I won’t be buying every item, just a bit of Autumn inspiration for my wardrobe! I looked on a few websites for coats and jackets but when I made my way to ASOS I fell in love with so many things, their new season stuff is amazing! Each of these coats are beautiful but I think my favourite is the leather hooded parka. There are a lot of different boots around on the high street at the moment but I think my personal favourites are flat beige ankle boots from Zara (number 2), they’re fur lined and just look so snuggly! A little while ago I wrote a post about my woolly hat collection, they’re my favourite autumn/winter accessory. I love the eyebrow hat from ASOS for a bit of quirky Autumn style. Snuggly jumpers are an Autumn must. My favourite is the whole outfit in the centre, I’m also pretty fond of the deep purple jumper bottom right. Early christmas list anyone? So there we have it, my Autumn high-street current favourites! What are you lusting after this Autumn?